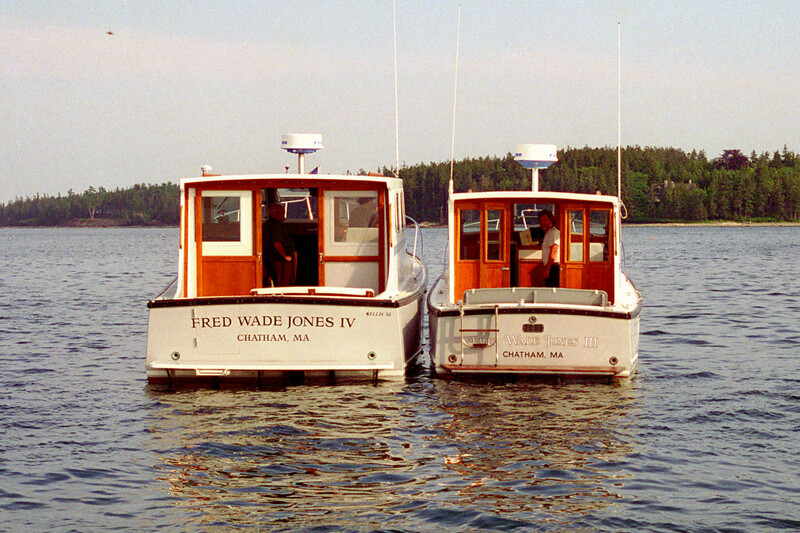 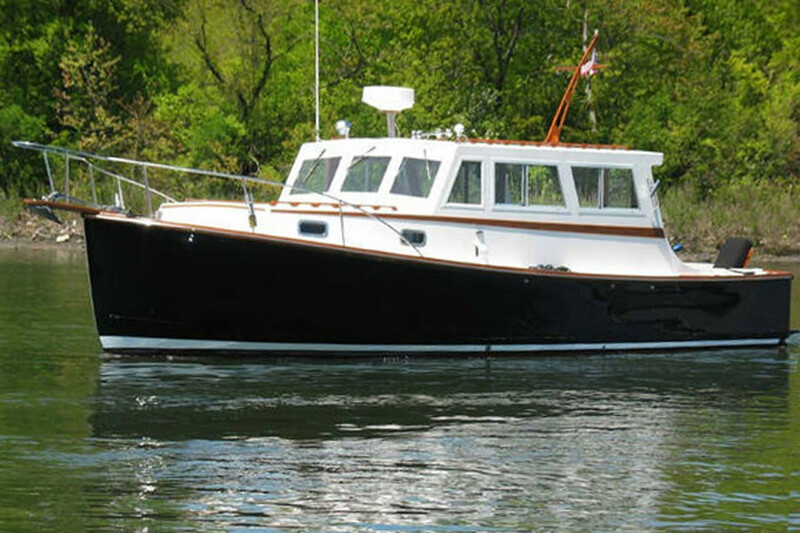 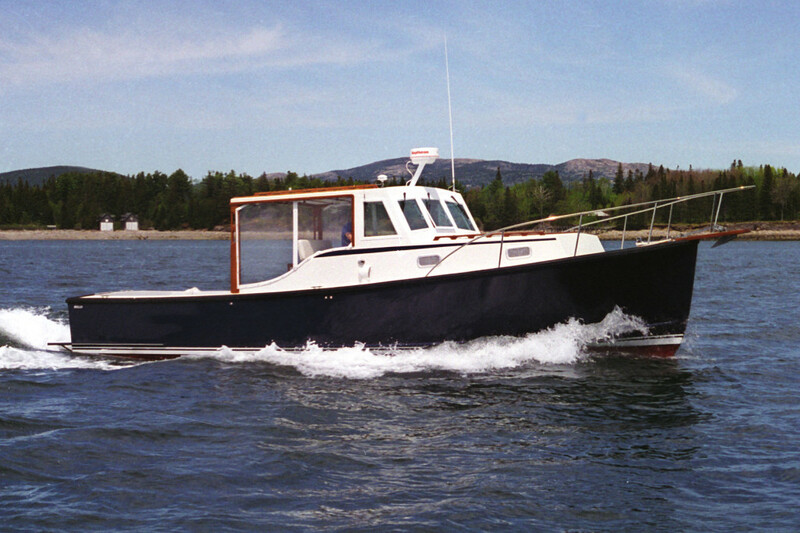 The Ralph Ellis hull designs exemplify a legacy of traditional Maine boat building. 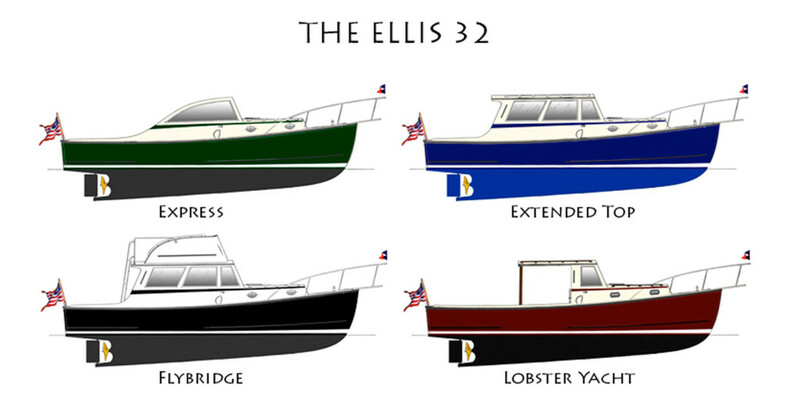 Ralph’s Ellis 32 design, with 11′ 9″ of beam, supports a variety of spacious interior configurations. 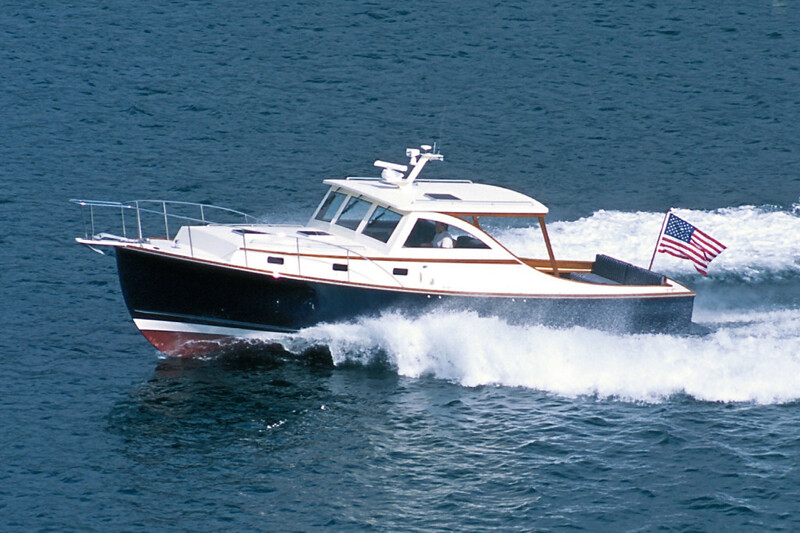 And the Ellis 32 performs well in any sea condition – it’s semi-displacement hull provides safe and pleasurable boating whether employed as a fishing boat, day boat, or cruiser. 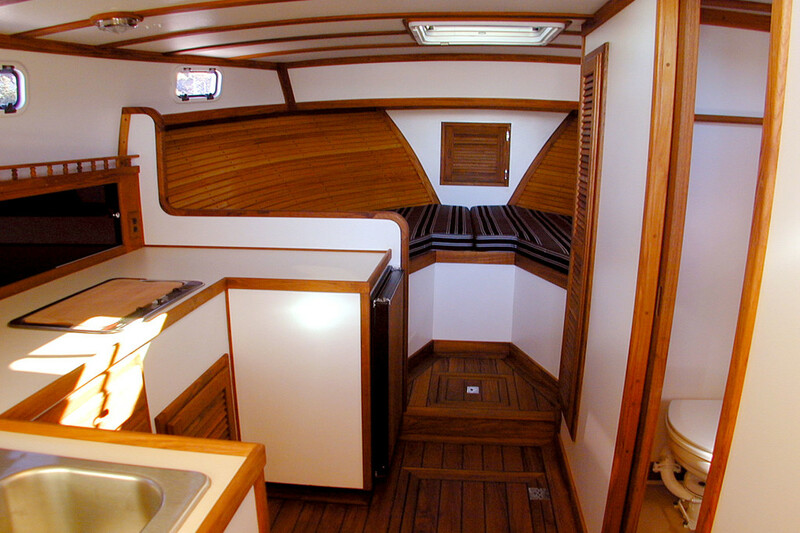 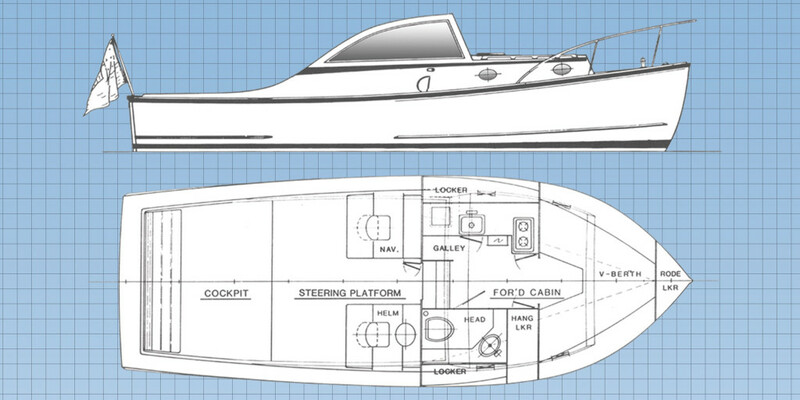 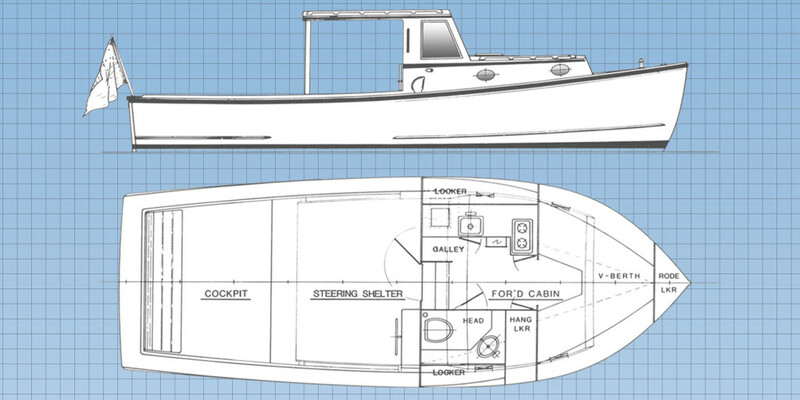 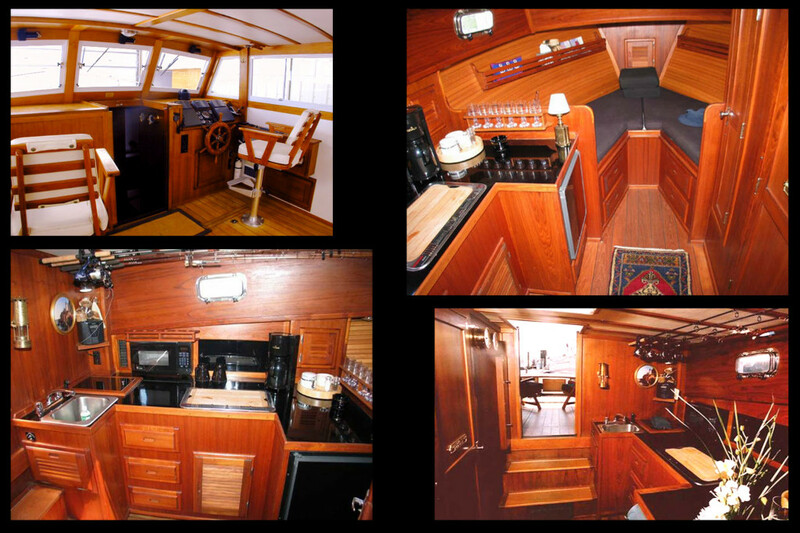 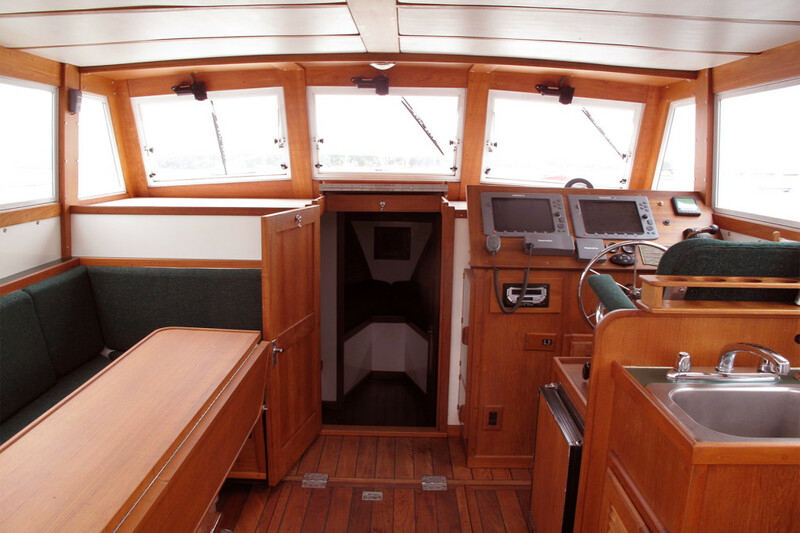 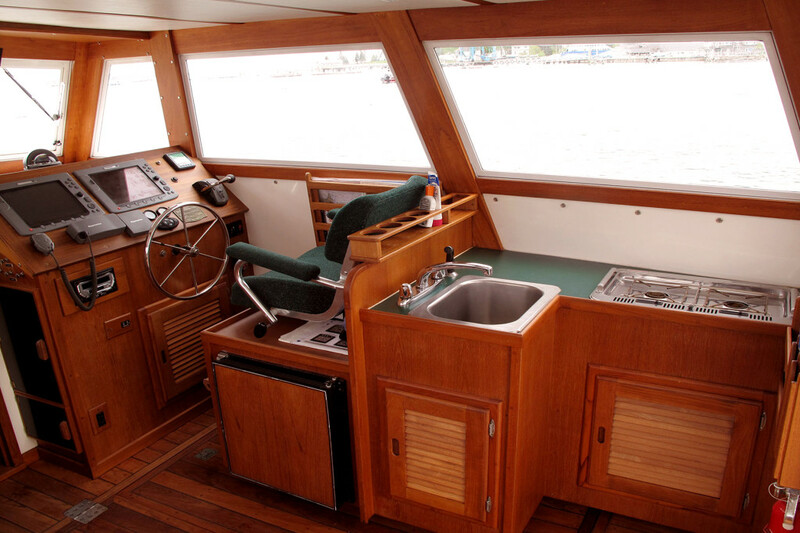 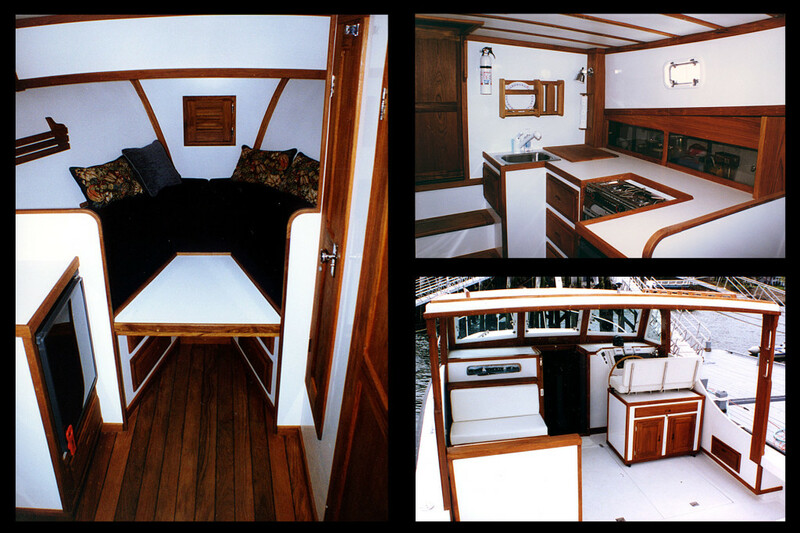 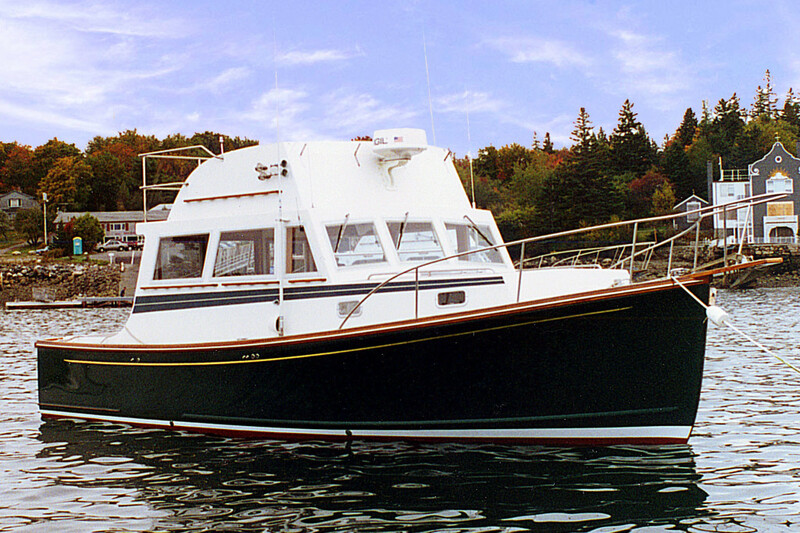 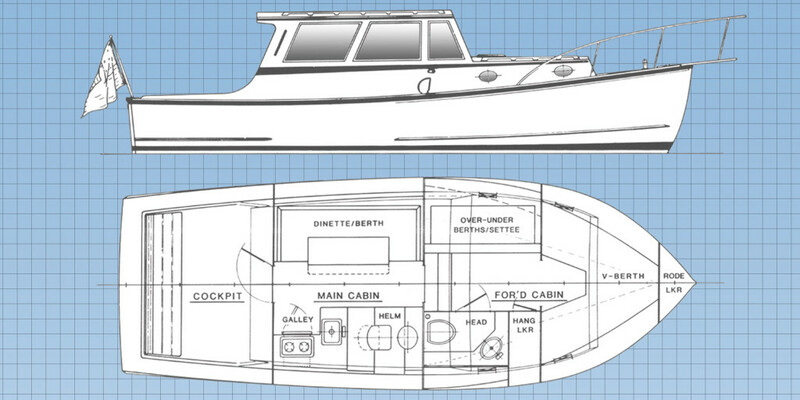 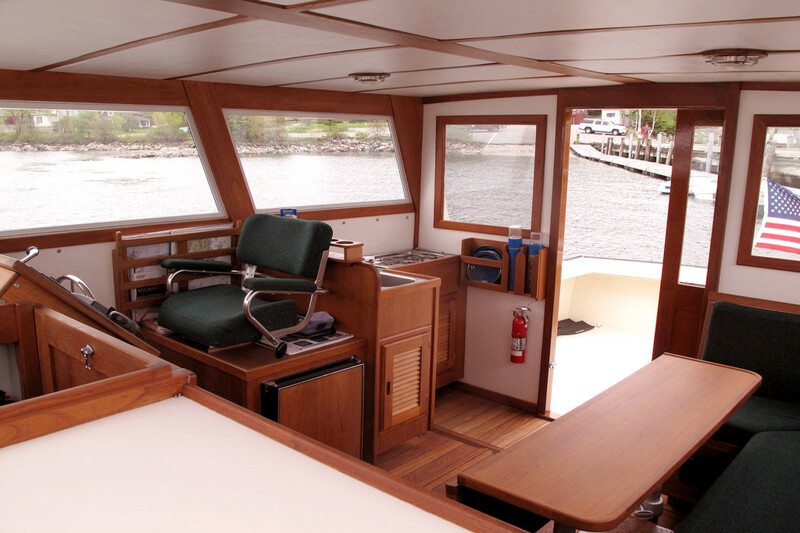 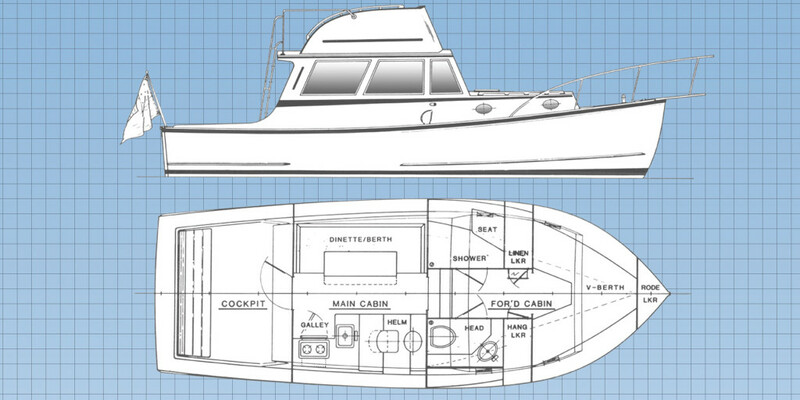 The Ellis 32 comes equipped with spacious accommodations including a head with separate shower, hydraulic steering, windlass, bow thruster, compass, fathometer, speedometer, 110-volt shorepower, stern seat, and a full galley: refrigerator, sink, alcohol stove, and hot/cold pressurized water.